Deciding on dorm room decorations is tough whether it is for the whole year or for the holiday season. You need to try to come up with creative dorm room decorations that make your college dorm room stand out and yet you want some traditional pieces in your dorm room decor. Who knew you could have both unique and traditional dorm essentials in one dorm item! You can with our 2'x23" Sky Blue Tree with Mini Lights! 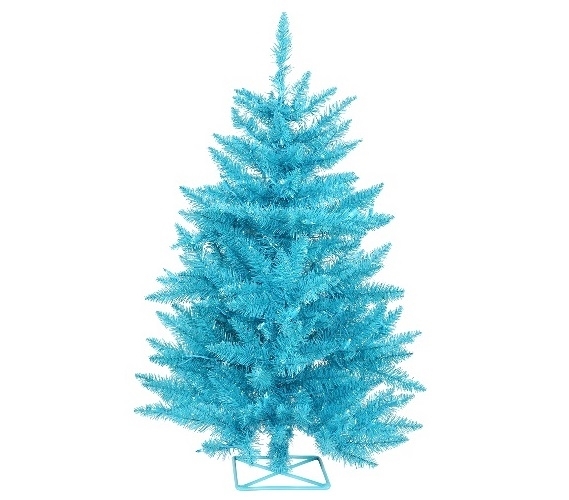 Our 2'x23" Sky Blue Tree with Mini Lights gives you the traditional dorm Christmas tree yet it has a twist. This dorm necessities item comes in a bright sky blue color! This dorm item isn't just a dorm Christmas tree, either. With this dorm item, you're also getting another dorm room decorations item you need for your holiday dorm room decorating. You're also getting mini dorm lights in a pretty teal color right on the branches of this college supplies item! Plus, you don't have to worry about this dorm supplies item taking up a lot of space in your college dorm room. This dorm essentials item is compact and can be easily placed in a corner of your dorm room or on a dorm nightstand or college dresser!